Are You Looking for Social Media Jobs? The use of social media is constantly on the rise. Whether it’s a service-based company or a product manufacturer, all of them are trying to get the most out of their social media marketing efforts. The need for business promotion via social media has, therefore, given rise to a number of jobs. If you have social media promotion skills, you can get a job quickly. But you may not be aware of the wide range of jobs that the field of social media offers. Take a look at these key job positions. The main purpose of using social platforms like Facebook, Google Plus, LinkedIn and Twitter is to expand the online presence of a business or brand. If you know how to develop a social media campaign and how to achieve success with it, you are fit for social media management jobs. If you have a strong passion for occupying social media jobs but have no idea how to get started, given below are some useful tips or guidelines you can use to find a job in this field of internet marketing quickly. You must have heard about several popular social media platforms including Facebook, Twitter, LinkedIn, Google Plus and Pinterest. But you may not know how each of them works. Every social media website has its own unique features and works in its own way. Each one of them attracts different types or categories of audience. To prepare yourself to get a social media job position, you must know how each of them functions. If you are ready to expand your knowledge-base, there’s plenty of literature available, both online and offline. 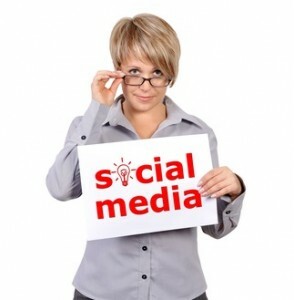 The best idea to gather in-depth knowledge about a particular social media platform is to join it as a user yourself. If you don’t have an account on the popular social networks, you should create them right away. As you sign up and start using the platforms, you’ll know more about their features, functionalities, and business benefits. Joining some of the popular social media websites is not enough. In fact, you’ll need to grow your profiles. While applying for social media jobs, the very first thing employers will want to have a look at is your own social media accounts. The kind of influence you have on various social media sites will speak volumes about your capability as a social media job applicant. Therefore, make sure you actively participate at each of the websites you join, grow your profiles and build a solid social media presence so that you can impress the employers or hiring managers quickly. One of the most important tips in terms of finding social media jobs is to keep yourself up-to-date always. No matter which platform it is, all of them continue to develop or add new features with time. A feature that a social media website has today may not be there two or three years down the line. For example, Facebook added a new feature called ‘Facebook Graph Search’. Likewise, other social media websites continue with tweaks and developments. If you plan to get a well-paid job position as a social media manager, digital community manager or online reputation management specialist, you should always be aware of the latest industry developments. With a few years of experience and adequate knowledge, you are ready to land a job in the field of social media. Depending on your preferences, you may also choose to specialize in the use of a particular social media website. For example, you can choose to work as a Facebook Marketing Expert or LinkedIn Coach. Once you know what you want, you can start to apply for the social media job positions of your choice and earn a good income. In any case, make sure you have a well-crafted resume which carries all the essential information about your qualification, background, specialization and experience before you start applying for jobs. How does it sound to get a job in social media? Please comment. Peter is a Senior Managing Consultant at Wenulima Pty, a broad-based consultancy company which specializes in social media, content marketing, hospitality, languages and business management. He's well known as a corporate and personal social media branding strategist. He regularly coaches individuals in key areas like leadership and management. This entry was posted in Job Search and tagged jobs, social media on August 19, 2013 by Peter P. Kadzutu. Nice post. Due to increasing use of social media, it becomes very popular and provides various job opportunities. Thanks for sharing such nice information with us.